Ring in the Holiday Season with the Mountain Christmas Boutique! 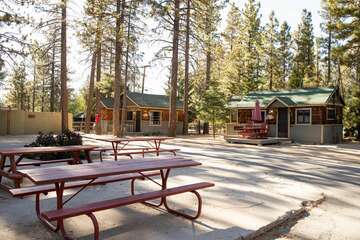 On Thanksgiving holiday weekend each year, Big Bear Lake begins its preparations for the upcoming holiday season by hosting one of the largest arts and crafts shows in the region. The Big Bear Lake Convention Center becomes an enormous holiday boutique, with holiday-themed food and drink, free arts and crafts for children, and the handcrafted wares of over fifty artisans from all over available for purchase. It’s the perfect place to begin your holiday shopping for your loved ones, with the event showcasing unique and heartfelt gifts that you can tell were made with expert care. The Mountain Christmas Boutique opens at 10:00am on each day of the event and closes at 5:00pm on Friday and Saturday afternoon and 3:00pm on Sunday afternoon. Admission is free for children ages 12 and under, $2.00 for seniors, and $3.00 for adults, meaning that you won’t have to break the bank in order to attend this charming and delightful event! 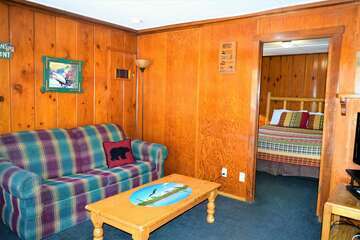 Our quaint and cozy traditional-style cabins are conveniently located within steps or minutes of Big Bear Lake’s most exciting activities and pleasant sightseeing, making them the ideal choice in accommodations if you want to get the full Big Bear experience. 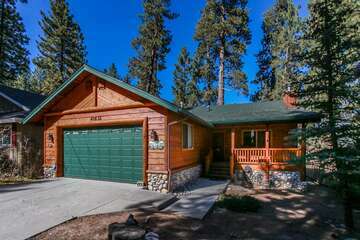 Contact our team of reservation specialists to learn more about the classic cabins we offer, how our vacation rental process operates, and additional information on the Big Bear area in general when you book your own private cabin in the woods today!